Airports are a growth sector, becoming more complex and competitive, heavily influenced by technology, with sustainability and the passenger experience central to success. It is a challenge to finance, design and build the physical infrastructure for a new airport development and it is even more challenging to human capital; the people who lead, manage and operate the airport. The fundaments to that is to have people of the right quality. In recent years, the approach taken to develop an airport’s human capital has more and more variables involved, such as major changes in operation and business models; privatization and liberalization effects; compliance requirements; the impact of digitalization on airport operations, and the global political environment. These have a major impact on human resources and the skillsets required to run a modern, successful and sustainable airport businesses. 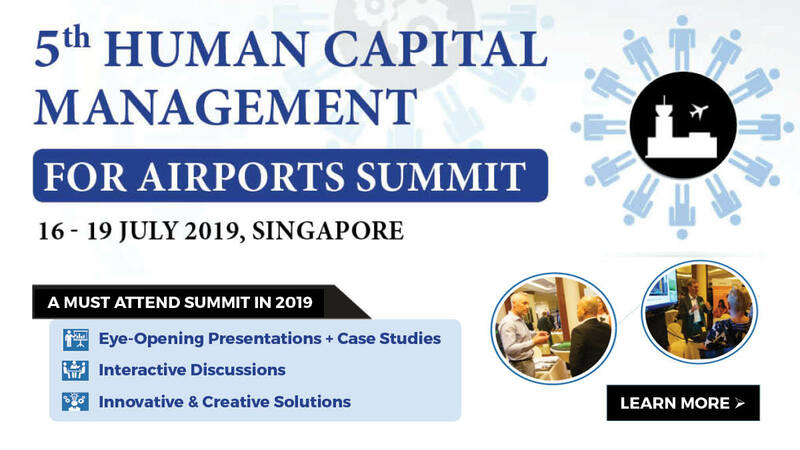 The 5th Human Capital Management for Airports Summit 2019, taking place in Singapore from 16-19 July 2019, aims to be the key platform to discussing and hearing case studies on successful recruitment, talent development, competency and staff management in airport organizations. This 4-day summit will provide insights into the roles and responsibilities of airport human resources departments and how they can develop skills to positively impact human capital management within the organization. Through international case studies from industry experts, learn to develop solutions to the biggest challenges in meeting people demand, analyze the future human capital needs of the airports industry including digitalization and present innovative solutions of developing and planning competency & talent development programs. For more information about The 5th Human Capital Management for Airports Summit 2019, visit the event website here or email us at enquiry@equip-global.com!